This project was a joint effort between Gunion Design and abbaroo.com in 2007 and 2008. 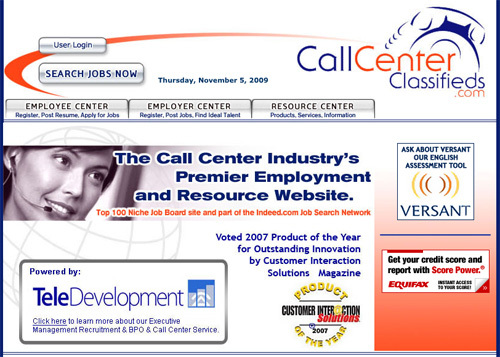 Gunion Design did the graphics and abbaroo created a database where employees and employers could enter their information to connect for call center jobs. Employees could search for jobs that meet their profile in areas all over the country.� Employers could search for employee resumés and post available jobs.